The explosion of interest in life-like games and virtual reality technology has made one thing clear: PCs and mobile devices will need better graphics. Companies like Nvidia, AMD and Intel are making radical changes to chip designs to facilitate better graphics. At the core of improvements are faster ways for GPUs to draw up and dispatch images to users. Chip makers are developing faster GPU architectures to achieve that goal. Another important element is faster memory, with new standards paving the way for better graphics in next-generation PCs. The GDDR5X and HBM 2.0 (also called HBM2) memory standards were approved last month, just days apart, by JEDEC Solid State Technology Association, which defines specifications for memory in PCs today. It's unclear which memory standard the chip companies prefer. Intel, AMD and Nvidia are all members of JEDEC, and said that they back both standards. But AMD has put its weight behind HBM2, which the company helped pioneer. 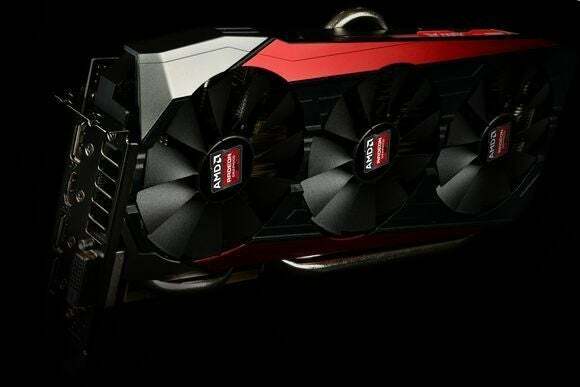 The GPU maker has already put HBM -- the predecessor to HBM2 -- in its top-line graphics cards, including the Radeon R9 Fury X, replacing GDDR5. AMD also has plans to replace standard DRAM with HBM2, though a timeline for that hasn't been set. Samsung, the world's largest memory company, has started manufacturing HBM2 modules. That will ensure a healthy supply of HBM2 memory chips, which could drive up adoption and bring prices down. HBM2 is revolutionary because it brings drastic changes to the way data moves in GPUs, said Nathan Brookwood, principal analyst at Insight 64. Basic memory operations have remained consistent for decades. Performance improvements have been driven by memory interfaces and memory-cell structures. HBM2 cells are stacked in a 3D format, and wider pipes helps move data faster. "With HBM2, there are multiple chips stacked, and instead of increasing the frequency, you are widening the interface," Brookwood said. It will be easier for GPUs to transition from GDDR5 to GDDR5X, which is two times faster than its predecessor, than it is to go from HBM to HBM2. GDDR5X is an incremental improvement with a redefined memory structure, and has data rates of 10 gigabits to 14 gigabits per second. GDDR5X could be cheaper to implement than HBM2, making it ideal for low-end graphics chips. Companies like Gigabyte, MSI and EVGA, which offer graphics cards based on AMD or Nvidia technology, may warm up to GDDR5X, which is off-package memory and easier to implement alongside GPUs. HBM2 is integrated inside the GPU package, which makes it faster, but harder for external graphics card makers to use, said Dean McCarron, principal analyst at Mercury Research. Samsung rival Micron has put its weight behind GDDR5X. Micron says it will start producing GDDR5X memory in large volumes later this year. There's a third memory standard, called Hybrid Memory Cube (HMC), which is backed by Micron and is designed for high-performance computing. It was developed by an industry group called Hybrid Memory Cube Consortium. Intel has implemented a new form of 3D memory in its Xeon Phi X200 supercomputing chip -- code-named Knights Landing -- which could be based on HMC. Intel expressed support for HMC as far back as 2011, but has declined to confirm using the memory type in Xeon Phi. It's yet to be seen how adoption of the new memory standards will shake out, but in any case users will ending up benefiting from better GPU and system performance.